Teorija samoefikasnosti zasnovana je na ideji važnosti ličnog doživljaja sopstvenih sposobnosti pri realizaciji različitih ciljeva i zadataka. Rad ima za cilj da ispita uticaj problemske nastave (engl. problem-based learning) na razvoj samoefikasnosti studenata. U radu analiziramo razlike u samoproceni studenata o poboljšanju lokalnih i globalnih aspekata pisanja, uz korišćenje problemske nastave u okviru engleskog jezika struke. Rezultati pokazuju da problemska nastava ima pozitivan uticaj na percepcije učenika o razvoju veštine pisanja na kursu engleskog jezika struke. Razvoj samoefikasnosti u velikoj meri određuje ponašanje studenata u ostvarivanju cilja jer pokreće akciju, određuje količinu napora koji treba uložiti, istrajnost pri suočavanju s preprekama i način na koji student reaguje na neuspeh u procesu učenja. Bandura, A. (1997). Self-efficacy: The exercise of control. San Francisko, CA: W.H. Freeman Publishing. Dudley-Evans, T., & Johns, M. (1998). Developments in ESP: A multidisciplinary approach. Cambridge: Cambridge University Press. Early, J. S., & DeCosta-Smith, M. (2011). “Making a case for college: A genre-based college admission essay intervention for underserved high school students”. Journal of Writing Research 2(3): 299–329. Ferris, D. (2002). Treatment of error in second language student writing. Ann Arbor, MI: University of Michigan Press. Ferris, D., & Hedgcock, J. (2005). Teaching ESL composition: Purpose, process and practice (2nd ed.). Mahwah, NJ: Lawrence Erlbaum Associates. Freedman, A. (1993). “Show and tell? The role of explicit teaching in the learning of new genres”. Research in the Teaching of English 27(3): 222–251. Gieve, S. (1998). “Comments on Dwight Atkinson’s “A critical approach to critical thinking in TESOL”. TESOL Quarterly 32: 123–129. He, T. (2005). “Effects of Mastery and Performance Goals on the Composition Strategy Use of Adult EFL Writers”. Canadian Modern Language Review 61(3): 407–431. Hmelo-Silver, C. E. & Barrows, H. S. (2006). “Goals and strategies of a problem-based learning facilitator”. Interdisciplinary Journal of Problem-based Learning 1: 21–39. Hmelo-Silver, C. E. (2004). “Problem-based learning: What and How Do Students Learn?”. Educational Psychology Review 16 (3): 235–266. Loyens, S., Magda, J., & Rikers, R. (2008). “Self-Directed Learning in Problem-Based Learning and its Relationships with Self-Regulated Learning”. Educational Psychology Review 20(4): 411–427. Pajares, F., & Johnson, M. (1996). “Self-efficacy beliefs and the writing performance of entering high school students”. Psychology in the Schools 33: 163–175. Pajares, F., & Valiante, G. (1997). “Influence of self-efficacy on elementary students’ writing”. Journal of Educational Research 90: 353–360. Shah, P., Mahmud, W., Din, R., Yusof, A., & Pardi. K. (2011). “Self-Efficacy in the Writing of Malaysian ESL Learners”. World Applied Sciences Journal (Innovation and Pedagogy for Lifelong Learning) 15: 08–11. Rahimpour, M., & Nariman-Jahan, R. (2010). “The influence of self-efficacy and proficiency on EFL learners' writing”. International Journal of Instructional Technology and Distance Learning 7(11): 19–32. Rollinson, P. (2005). “Using peer feedback in the ESL writing class”. ELT Journal 59: 23–30. Shell, D., Murphy, C., & Bruning, R. (1989). “Self-efficacy, attributions, and outcome expectancy mechanisms in reading and writing achievement”. Journal of Educational Psychology 81: 91–100. Silva, T. (1993). “Toward an understanding of the distinct nature of L2 writing: The ESL research and its implications”. TESOL Quarterly 27(4): 657–675. Stepanovna, A. (2006). “O inovacionim i tradicionalnim modelima nastavnog preocesa”. Nastava i vaspitanje 2: 109–122. MARTINOVIĆ BARBUL, Ivana M.. SAMOEFIKASNOST, PROBLEMSKA NASTAVA I VEŠTINA PISANJA. 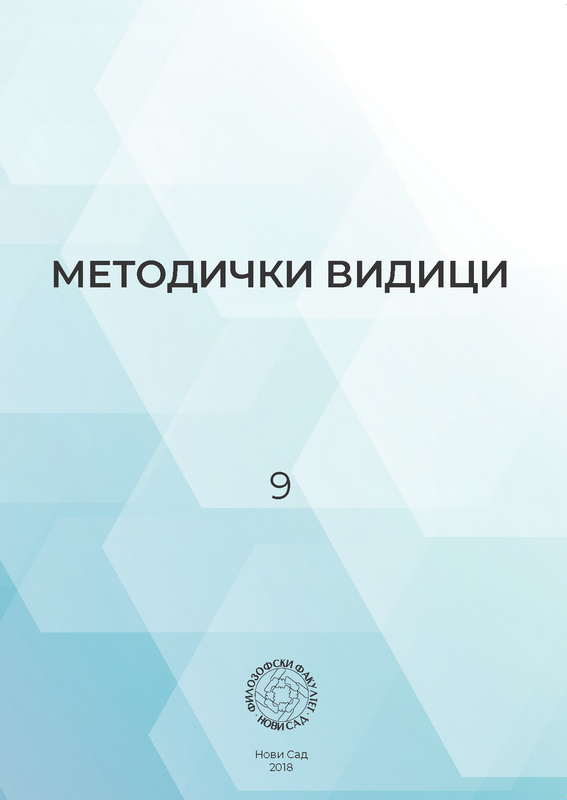 Методички видици, [S.l. ], v. 9, n. 9, p. 265-281, dec. 2018. ISSN 2334-7465. Доступно на: <http://metodickividici.ff.uns.ac.rs/index.php/MV/article/view/1894>. Датум приступа: 18 apr. 2019 doi: https://doi.org/10.19090/mv.2018.9.265-281.